Far-Infrared saunas are an incredible wellness tool. The decision to incorporate a far-infrared sauna into our centre was easy – which type of sauna to include required some research and thought. The answer soon became clear as we discovered that not all infrared saunas are equal. Our sauna is a medical grade sauna made from specific non-toxic materials to ensure a safe sauna experience. The manufacturing company is local to Ontario, and green in its thinking, and uses only sustainably-harvested Ontario basswood. 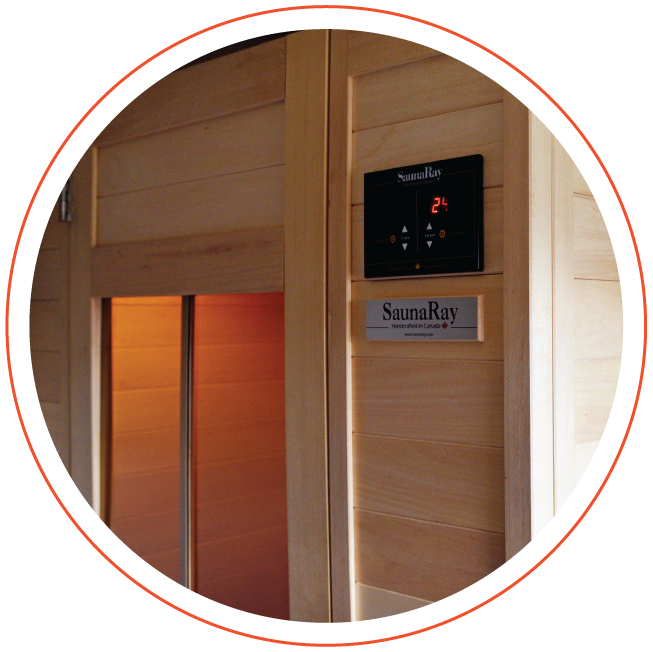 To learn more about why this sauna is world-class, visit saunaray.com. The heat from an infrared sauna penetrates 2-3 inches deep into the body to increase circulation, nourish damaged tissue and pull chemicals from fat storage directly into our sweat. 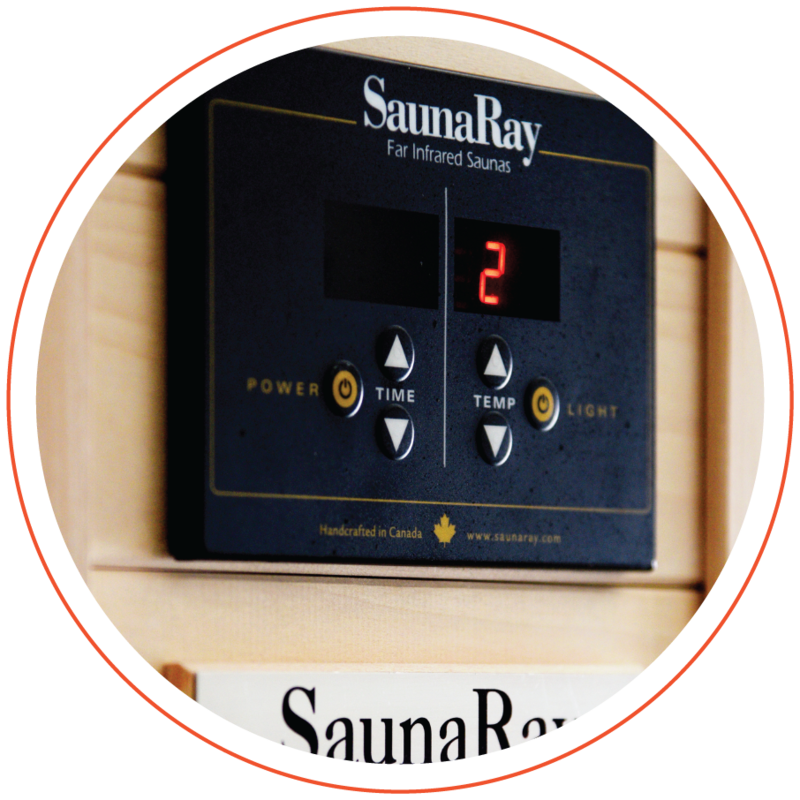 Unlike other saunas, infrared saunas make this experience very comfortable. Your sweat volume is two to three times higher despite the lower temperature. WHAT HEALTH CONDITIONS DOES INFRARED SAUNA THERAPY TREAT? Infrared sauna therapy treats a wide variety of conditions due to its whole body detoxification effect. The most common uses are listed here, but this list is certainly not exhaustive. IS THERE ANYONE WHO SHOULDN’T USE AN INFRARED SAUNA? Some people should not use an infrared sauna. These conditions may include, but are not limited to pregnancy, hypertension and insulin dependent diabetics. The Naturopathic Doctor screens everyone before they are allowed to use the sauna to ensure that it is a safe and beneficial experience. Our Sauna room is private, peaceful, and equipped with a shower to make your Sauna therapy experience as enjoyable as possible.